On March 14, Phil Clark, author of the book Distant Justice: The Impact of the International Criminal Court on African Politics spoke at an event on the failures and future of the International Criminal Court at the Open Society Foundations office in New York. Prior to the event, he sat down to discuss his book with International Justice Monitor, and in the second part of this two-part series, the author discusses the complicated domestic justice framework in Uganda and the next election of the ICC prosecutor, including his thoughts on the future of the court. Taegin Reisman (TR): You write that the ICC has often acted in competition with local judicial processes rather than complementing their work. Uganda has created a specialized division at the High Court to handle grave crimes cases, but its shortcomings have been exposed even before trials began because of lack of resources, conflicting schedules, and understaffing. This is in addition to due process concerns caused by the lengthy pre-trial detention of Thomas Kwoyelo. A proposal for a similar division in Kenya’s High Court remains stalled. Can national criminal justice systems adequately deal with grave crimes cases? Phil Clark (PC): This is a really important question because we’re seeing a really mixed picture across Africa in terms of what national judiciaries can do. There are numerous positive cases such as the performance of the domestic courts in Ituri in the DRC. As I argue in the book, the Ituri courts have gone through a thorough reform process in the last 15 years to the extent that they can now tackle really difficult cases, including Congolese army cases. TR: These are the military courts you are talking about. PC: These are the military courts in Bunia, in particular. TR: You also discuss the mobile courts in the book. PC: These are the two crucial developments in terms of justice in Congo – the Ituri courts and the mobile gender units in the Kivus and Maniema. These are two important examples to emphasize because at the beginning of the 2000s the view was the DRC will never be able to prosecute cases of genocide, war crimes, or crimes against humanity itself. This was one of the reasons the OTP chased the cases in the DRC so clearly at the outset because the view was that Congo will never be able to do this on its own. What we then saw was, unexpectedly, the Ituri courts, in particular, get their act together, especially the military tribunal in Bunia. The European Commission-funded process starting in 2003 was able to completely transform the legal landscape in Ituri within two or three years, and the system there became much more adept at conducting robust investigations and prosecutions, including of Congolese government actors. Then a few years later, we had also the very important development of the mobile gender units, and, obviously, OSI [Open Society Institute] played a key role in that. What that showed was that with dedication, funding, expertise but also the ownership of national actors, it was possible to take a national judiciary that had started from quite a low point to something that was much more robust, imperfect undoubtedly, but that is now doing a set of investigations that seemed almost impossible 15 or 20 years ago. Uganda presents a slightly more problematic picture because we have had this division within the High Court since the Juba process, so since 2008. It has all of the legal elements to be able to prosecute high profile cases, like Kwoyelo’s, like Ongwen’s domestically. If you look at the legislative framework, if you look at the institutional arrangement, it should be able to do this. The question then is why have we seen the Kwoyelo case falter as badly as it has. The short answer is a fundamental lack of interest from the Ugandan executive, in particular. There has been clear government foot-dragging in that case. There has been a lack of cooperation, especially from the Ugandan police force, and to a certain extent, also the Ugandan army to share the evidence that was necessary to get the Kwoyelo case up and running. I think the concern of the Ugandan executive is that as the Kwoyelo case proceeds, it is almost inevitable that there will be a significant amount of evidence presented that points a finger back at the UPDF [Uganda People’s Defense Force] and its role in the LRA conflict. One of the paradoxes we have seen in Africa over the last 15 years is that many African executives prefer to see cases go off to The Hague because they think there will be less exposure of government crimes. Many African states believe they can control the ICC because the court depends so heavily on state cooperation and doesn’t fully grasp political machinations on the ground. In contrast, these states believe their domestic judiciaries open up a can of worms, that they’re much less predictable, so when the Ugandan government looks at the Kwoyelo case, it doesn’t see much incentive in this case going ahead. What the Uganda government wanted to do in the early days of the international crimes division was to get the international donors on side, to get big investment into the judicial domain and it succeeded in doing that. But it didn’t have very much incentive to do the next thing, which was to run the Kwoyelo trial in a fair and effective manner. It has already achieved what it wanted to do by setting that division up and gaining the international funding and the boosting of its reputation that came with that. What we need to see is a lot more international pressure on Uganda to make that division, which donors have funded to the tune of millions of dollars over the last 10 years, work. At the moment, the international community is giving mixed messages on this because the donors are saying to the Ugandan government you need to get the ICD functioning, but at the same time, we’re very comfortable with Dominic Ongwen going off to The Hague rather than being prosecuted through the ICD. The message that sends to the Uganda government is: there is very little pressure to make the ICD work and to see it tackle the kinds of cases it was set up to prosecute. This calls for a much more coherent international message that says you have got to make this work, and we will not be pressuring OTP and the ICC as a whole to deal with these Ugandan cases because you are equipped to do this, and we know you are equipped to do it because we as international actors have been funding you to construct this division. This is the case in many parts of Africa where international donors are funding domestic judicial reform while also supporting the ICC. These donors need to insist, on the basis of complementarity, that reformed African court systems should tackle cases like Ongwen’s, like those of the Ituri rebel leaders in Congo – rather than watching them being whisked off to The Hague. If those cases aren’t dealt with domestically, donors are wasting the funding they’re pouring into national judicial reform. All of this also shows the games being played by many African executives. The view was often that governments would inherently prefer to see cases dealt with by their domestic courts rather than by the ICC because this would bolster their sovereignty. In fact, we’ve seen the opposite. 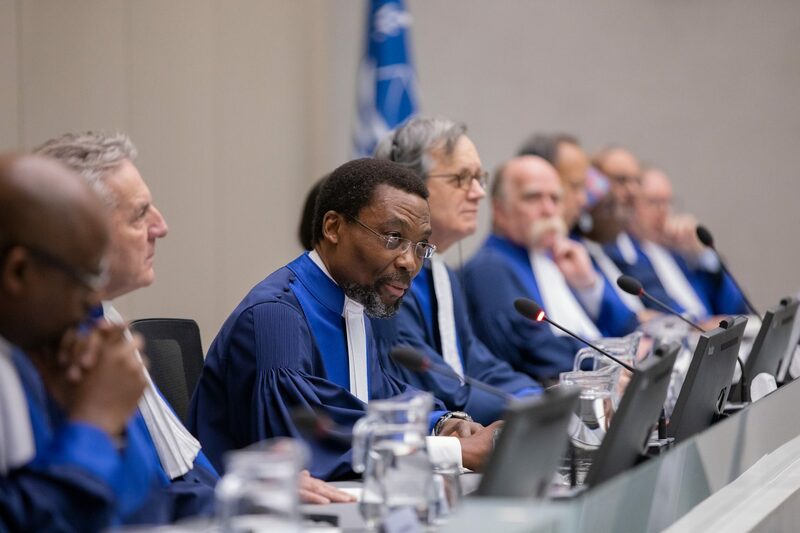 Many African executives calculate that it is in their interests to send cases to the ICC because they believe that they can circumscribe the ICC’s terrain, rather than taking a risk on these newly reformed domestic judiciaries, which can be quite activist, quite unpredictable, and sometimes can end up pointing a finger back to state actors. TR: Questions have also been raised during the trial of Ongwen whether the Ugandan government has been even-handed in how it gave amnesty to former members of the LRA. Has the amnesty law helped in bringing peace to northern Uganda and reconciling the people of northern Uganda? PC: I think ultimately the Ugandan amnesty has been an enormous support for bringing peace to northern Uganda. The biggest gain of the amnesty process is the sheer number of LRA combatants who have been brought back from the bush. That includes some of the top brass of the LRA. One of the key reasons the LRA today is a shadow of its former self is because of the amnesty. The amnesty depleted its ranks in a way that no military response ever did. There is no question one of the key reasons the LRA is no longer active in northern Uganda is the effectiveness of the amnesty act. At the same time, there are some huge contradictions in the way that the Ugandan government has used the amnesty process. One of the cases that highlights this is that of Caesar Acellam, who was captured at a similar time to Thomas Kwoyelo. Acellam was significantly senior to Kwoyelo in terms of the LRA ranks. But we’ve seen Kwoyelo prosecuted through this incredibly unwieldy, constantly delayed process through the ICD, and we’ve seen Acellam receive an amnesty. The simple reason for this is the Ugandan army determined that Acellam was much more useful to them because of the intelligence he had on the LRA. He could be subsumed into the Ugandan army at a very senior level, and his military expertise was extremely useful in a way that Kwoyelo’s is not. That’s the kind of thing that over time has created an unnecessary ambiguity around the amnesty act. But again, I would trace this problem back to the emergence of the ICC, firstly, in northern Uganda, which introduced a set of ideas about punitive justice and the use of criminal law to prosecute individuals who previously would have been eligible for a national amnesty. And then, as result of the ICC’s influence, especially around the Juba process, we saw the entire terrain in Uganda tilt towards the use of judicial processes after Juba, with the creation and funding of the ICD as one example of that. All of this has created enormous confusion amongst everyday Ugandans about what the amnesty means, who is eligible for it and who is vulnerable to prosecution. It also has created an enormous amount of confusion within rebel ranks about who is eligible and who is not. This is something the groups in northern Uganda that are working with returned combatants keep talking about, namely that they have seen fewer and fewer LRA rebels returning from the bush in the last six or seven years. Partly that is because the LRA is itself is depleted, so there are fewer rebels in the bush to come back. But, they also attribute this to the impact of a new prosecutorial landscape, which makes for a huge amount of confusion around the amnesty process. Ultimately, the amnesty process since it was instituted in 2000 has been a huge positive, but it has become a much murkier picture, especially in the last six or seven years, and the ICC has been a key cause of that confusion. TR: In the introduction to Distant Justice, you discuss Bosco Ntaganda’s surrender. This is when, in March 2013, he walked into the US Embassy in Kigali, Rwanda and turned himself in to the ICC. You write that while he awaited his transfer to The Hague, “diplomats argued over which government was responsible for purchasing the fuel for his flight.” It is the diplomats, working through the Assembly of States Parties (ASP), who will ultimately be electing the next ICC Prosecutor. What would you like to see in the forthcoming election process, given what you have researched and written about diplomatic processes and the court? PC: One of the things I talk about in the conclusion to the book is that at least some of the problems with the ICC have to be attributed to states and that it is not only about the court itself and how it functions. And states, I think, have often gotten away with a whole range of problems associated with the ICC. This is all relevant in terms of the election of the next ICC prosecutor, and I think one of the things that states need to come out and be absolutely explicit about is what kind of prosecutor they are looking for. What we’ve seen so far is, during Ocampo’s period as prosecutor, he was ultimately acting both as a jurist and as a diplomat. That’s understandable. It was the early days of the court, it was trying to make a splash, it was trying to gain an international profile, but it clearly took Ocampo away from the everyday work of detailed investigations and effective prosecutions. Bensouda was always hamstrung by the fact that she had been Ocampo’s deputy. She, in that role, was responsible for some of the missteps of the Ocampo-era. Most importantly, she inherited Ocampo’s caseload, and so she didn’t have very much room to manoeuvre. I think what we have to see with the third prosecutor is – as much as possible – a clean slate. This is a court that in many key respects needs a reset. And, I think Bensouda might even be inching towards that view because she is clearly jettisoning many of the cases that were opened under Ocampo; cases that she thinks simply don’t have strong enough evidence [and are] not going to stand up in the courtroom. She is trying to streamline this entire institution. That should be a gift to the third prosecutor, who should come in with a mandate to refashion this institution. I think the ASP can help the court by being explicit about this – that this is a chance to start to do things differently – and to be explicit about what kind of prosecutor they are looking for now. The crux of that has to be a prosecutor who goes back to old-fashioned ideas and methods of doing slow, detailed, thorough investigations and prosecutions, while the wider OTP gets the kind of political expertise that it needs to make that happen. Those two things have to happen simultaneously. It’s no good to having an old school meat and potatoes prosecutor if there’s not some contextual expertise within OTP. You don’t want the prosecutor him or herself having to do that because that could undermine their independence; it could also be a massive distraction from the investigative and prosecutorial work that is crucial to that role. 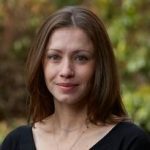 But he or she is going to need local experts to provide the kind of contextual information – especially nuanced political advice – that is essential to running those cases effectively. I think that starts with the ASP. It starts with the ASP setting out its stall, being clear about what it’s looking for in the prosecutor role, then systematically identifying the person that can deliver that. But the ASP also needs to insist on and to fund a team of people that can make that happen. Unfortunately, the noises coming out of the ASP at the moment are about slashing and burning. It’s about cutting budgets; it’s about streamlining staff. I understand where they are coming from. The ASP members are frustrated with what they see as a lack of value for money over the last 15 years, given all of the ICC’s missteps. I understand their frustration; it’s the kind of frustration I express in my book, but I don’t think massive streamlining is the answer here. If anything, this is an institution that needs bolstering. It needs an expanded staff; in particular, it needs expanded expertise around local contexts. If you’re going to deliver impartial, independent justice, you need a deep understanding of the local terrain you’re trying to remain independent from. That’s the paradox of judicial independence; you only gain that if you’re deeply savvy about the complex social and political pressures on the ground. Claiming to be ‘apolitical’ and refusing to pay enough attention to how the local terrain works doesn’t make the court apolitical, quite the opposite. I am worried about the directions the ASP is also taking at the moment. Its desire for a streamlined rather than bolstered ICC is likely to leave the court worse off. TR: Last year was the 20th anniversary of the Rome Statute. What do you think the system of international criminal justice will look like 20 years from now? I am worried about the directions that the ICC specifically but international criminal justice as a whole is currently taking. One of the things that has really struck me researching this book is the intransigence of this industry. Possibly because I am a political scientist and not a lawyer, I’m startled by the spirit of defensiveness, imperviousness to criticism, and a real – almost immovable – self-belief amongst many actors in this terrain. Partly, I think that it is a symptom of the battles that many of these actors feel they fought in order to establish the ICC and to make international criminal justice a viable thing in the world. This has made this whole environment suspicious of systematic reform. The ICC, specifically, is not short of critics at the moment, but it is not clear that it is really taking any of these prescriptions on board. One of the things I argue in the book is that, in terms of the ICC’s investigations so far, especially by OTP, the ICC has gone backwards from what its predecessor institutions achieved. Even the ICTY and the ICTR learned over time that the only way to conduct effective investigations in places like the Balkans and Rwanda was to have investigators from those places who spoke the language, knew the terrain intimately and could gather effective evidence. We’ve now gotten to the ICC, which is supposed to be the culmination of all of these previous institutions, and on that very important point, it has reverted to the original philosophy that the ICTY and the ICTR expressed, which was a suspicion of local actors, a suspicion of local expertise. That is the kind of thing that concerns me. That a court that has had the opportunity to learn a great deal from earlier institutions can take a major step back backwards. I think that should ring alarm bells. It shows how deep the skepticism of local actors – local investigators, local courts – goes within the ICC and the broader field of international criminal justice. This is a key reason the ICC struggles to deliver on the principle of complementarity, which frames the ICC as respectful of and deferential towards national institutions. Instead, the ICC views itself as inherently superior to domestic actors and domestic processes. With this book, I am calling for a chance to pause and think about where the ICC is and for the court itself to be humble and recognize that it has always been a very large experiment. It has never been some perfect institution that was automatically superior to domestic ways of addressing atrocities. No one really knew how this was going to go. The ICC has taken on an extraordinarily difficult task and there is no shame in saying that there might be some key aspects of this process need reform. This article was originally published by International Justice Monitor and has republished here with permission.